Welcome. I am currently retired as a School Psychologist (as of October 2008), formerly with the public school system of Camden, New Jersey. 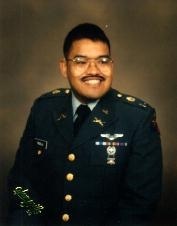 I am also (as of October 2003) a retired Major, Armor Branch, from the US Army reserve components; although I retired from the Individual Ready Reserve section of the Army Reserve, I spent the bulk of my service time in the New Jersey Army National Guard. I was born in Manila, Philippines in October, 1956. I moved with my family to Deptford, New Jersey in 1970, and graduated with a BA in Psychology from Rutgers College in 1978. I received my MA in Educational Psychology from Glassboro State College in 1984 and completed the state School Psychologist certification program at Glassboro in 1986. This is a reference site that my friend Ray and I have been working on. We have always held in awe and esteem the heroes of American military history and, by virtue of being combat arms officers in the reserve components, have always considered ourselves semi-professional military historians. 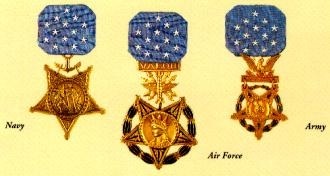 As such, we did a study on the various recipients of the Congressional Medal of Honor whose acts of valor have been depicted in the movies, taking note of the fact that in nearly every case, even when much of the rest of the movie has been fictionalized or romanticized, the depictions of those acts of valor have been quite historically accurate. Truth is definitely stranger, and more entertaining, than fiction! Also, a link to Ray's website containing photos from our visit on 23-25 June 2001 to the Little Bighorn Battlefield, Montana, for the 125th Anniversary of Custer's Last Stand.